Huawei’s sub-brand Honor has announced discounts on its Honor 6X and Honor 8 Pro smartphones. Both the smartphones are exclusively available on Amazon and the discount is available only from December 12 to December 19. 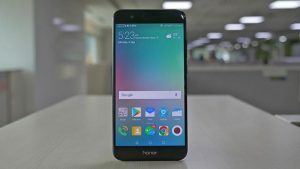 The company is offering a flat discount of Rs 2000 on Honor 6X and Rs 4000 on Honor 8 Pro. The company launched the Honor 8 Pro in June this year at Rs 29,999, the smartphone will now be available at Rs 25,999. The smartphone comes with a 5.7-inch QHD 2K display of 1440×2560 pixel resolution. The device is powered by the company’s own 960 processor coupled with 6GB RAM. It offers 128GB of internal storage with an option to expand up to 256GB through a microSD card. The smartphone runs Android 7.1 Nougat operating system and sports a dual rear camera setup. The Honor 8 Pro comes with two 12MP modules at the rear end. The primary camera features f/2.2 aperture, laser autofocus and LED flash. There’s also an option of recording 4K videos with the rear camera. For selfies and video calls, the smartphone has an 8MP front facing snapper with f/2.0. “We as a brand have grown to become a contender in a short span of time. We owe our success in India solely to our customers and are excited at this stage of our India story. With our recent launch of Honor 7X we are also excited to bring Honor 6X and Honor 8 Pro to our customers at discounted rates in association with the leading online platform- Amazon.in. We feel the consumers will realize that this is a great opportunity to avail premium smartphones with advanced specifications in the given price band. The products are certainly value for money, and the offers- our way of extending gratitude to Honor’s loyal consumers,” said P Sanjeev, Vice President Sales, Huawei India – Consumer Business Group.